A peaceful 2.5 acre site on a working farm within easy reach of the Pembrokeshire coastal path and local beaches and 5 miles from historical St Davids with its cathedral. A good base for walking, cycling and sightseeing with a coastal shuttlebus service within 400 yards. Surfing, coasteering and kayaking facilities available nearby. Firm, level and well-spaced grass pitches and easy access to site. Family friendly and dogs welcomed. 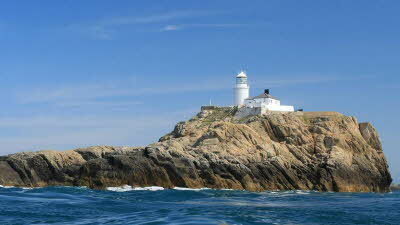 Join us aboard our purpose-built craft on a fantastic voyage to the RSPB Reserve of Ramsey Island. There is plenty of opportunity to see hosts of wildlife and marine mammals at close quarters on the cliffs and caves of Ramsey Island. Fun for all the family. A local family owned business, who for over 25 years have specialised in providing guided marine wildlife tours of inshore and offshore Pembrokeshire Islands. 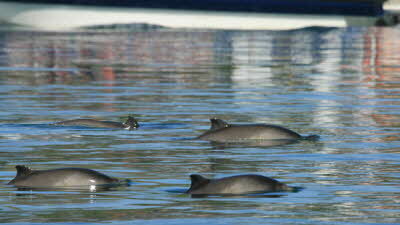 As conservationists their ethos is to provide professional and interactive voyages suitable for all ages. Get up close to nature with one of our wildlife boat trips to the islands of Ramsey, Skomer and Grassholme. There is always a chance to see seals, whales, dolphins, gannets and puffins. Marloes is a quiet village by the sea. Enjoy a wonderful choice of dishes of locally sourced produce in our relaxing cafe. 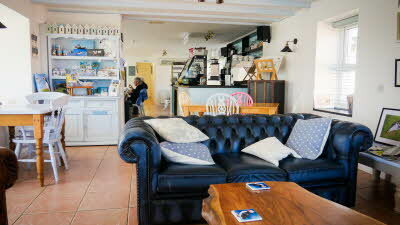 Coffees, loose leaf teas and much more in a friendly family environment. Plenty of indoor and outdoor seating available. This CL has lots of space between pitches and plenty of space in the centre of the field for kids to play. 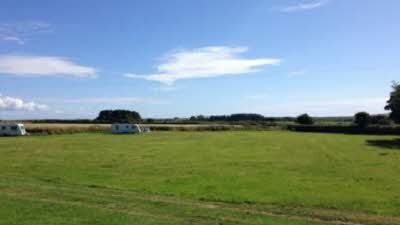 The grass is cut regularly but sadly not collected so when it’s wet it does end up in the caravan. Otherwise, absolutely no complaints. Good recycling, CDP good, TV reception OK and 3G on Three and O2 also available. The directions are OK but it is narrow in some parts although we didn’t have any problems…….maybe we were lucky. As previous reviews have said, the route from St David’s is much better so would recommend this approach. After about 4 miles from St D’s. the lane to the farm is well signed. 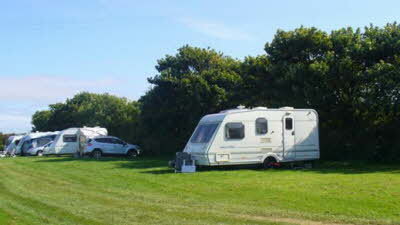 This CL is based in a spacious field and we could basically choose where to put our caravan. There are electric points along two sides so a big choice. It was very windy when we were there and moved from our first pitch at the top of the field to one further down the other side where there was a little more protection from the embankment. The owner was very welcoming and friendly - when we saw him but obviously being a farmer he's bound to have a busy life. If we needed anything we could usually find him around the farm buildings. Access was pretty good considering the narrowness of most of the roads in this area. Good for cycling although quite hilly!! Many of the roads in this part of Wales are very narrow and the instructions provided by the owners are the best way to access the site. Don't approach it from the other direction as you won't get in. The site is 2.5 acres with the pitches spaced along two sides in an L shape with masses of space between each. The grass in this area is cut regularly and it's reasonably level. It's a basic CL with just electric hook-up provided. Good views to the west. It is very peaceful unless the wind is due west when you can hear the children at the campsite across the fields in the distance, but it's not really a problem - and probably only happens in August. The water pressure is very low so it takes a long time to fill up the water drum from the tap. Our main criticism is that we didn't see the owners at all in the five days we were there. On the last day I went to the farmhouse to pay and was greeted by a girl/young woman, who I presume to be a daughter, who didn't ask for a name or any details other than how long we'd been there and she just took the money. No questions such as 'had we enjoyed our stay' etc. Would we stay here again? Probably. We absolutely loved this site. A fantastic location to explore this part of the Pembrokeshire coast. The site is easy to find from the directions in the book, it is level with plenty of room to have your own space and has far reaching views. You can walk to Abereiddy and access the coastal path where you can walk to Porthgain via the Blue Lagoon on the head of Abereiddy or the other way to White Sands if you like a long walk. St Davids is a very short drive away which is a must to visit. Other places to go are Solva and Porth Calais but do walk down to the sea as the harbours are long and thin. This area is so relaxing and beautiful and the CL is perfectly positioned to do it all! Do go to the Sloop at Porthgain and watch the sunset. Highly recommended.